The Historical Flight Foundation is a Living History Museum. Dedicated to promoting an awareness and appreciation for aviation history. 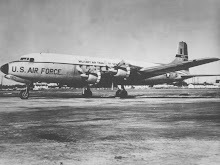 Tools include educating and training young people in the maintenance and piloting of these historically significant aircraft and; building awareness through public events around the world. Here is the web site to check out this aircraft.